President's Blog: What’s Missing From This Picture? Ultimately, it is the investor who decides what products to purchase and what services to sign up for when discussing finances and investments with their financial advisor. That’s the way it should be. Investors decide. But sometimes, if their advisor does not ask the proper questions, investors do not know the full scale of decisions they can make to create the best possible financial future for themselves and their families. Every year, Spectrem studies the relationship between investors and advisors, asking pointed questions about the investor’s expectations and how well advisors are meeting those expectations. In Advisor Relationships and Changing Advice Requirements, investors are asked what products and services they have discussed with advisors, and which ones have not been discussed. It is revealing to advisors and investors both to see how many investors today have NOT discussed certain topics with their advisor, even though they want to. Are you missing out on extending the relationship with your investor simply because you don’t bring up pertinent topics? Let’s consider estate planning. 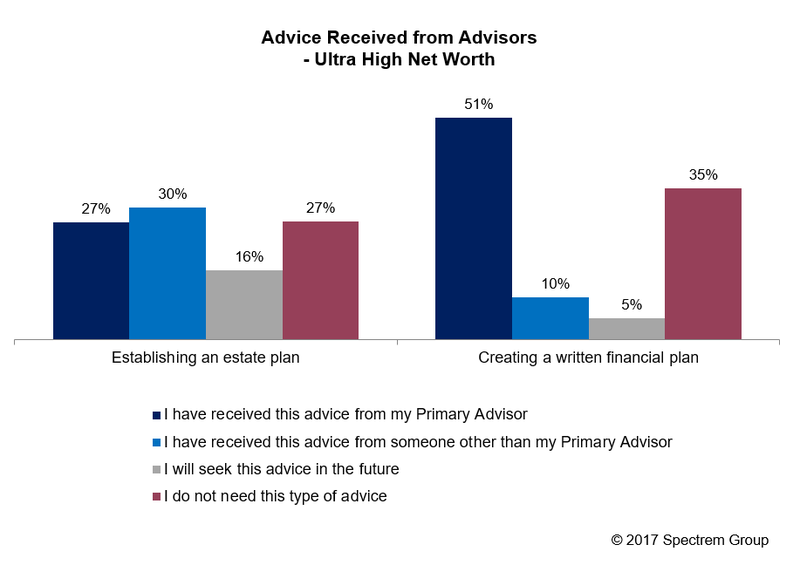 According to the Spectrem study, among Ultra High Net Worth investors with a net worth between $5 million and $25 million, only 27 percent have discussed estate planning with their primary advisor. Another 30 percent have discussed it with someone else, perhaps the family attorney, while a full 16 percent say they plan to request that advice in the future. And when, exactly, is the future? Is it next month, a year from now, 10 years from now? It’s up to the advisor to inquire as to when the investor wants to discuss estate planning. If the advisor waits on the question with those investors who have not yet considered their estate and wealth transfer, they could lose out to the family attorney who does ask the question. Consider the advantages for an investor in having a written financial plan. Among UHNW investors, 51 percent have discussed a written financial plan with their advisor, 10 percent have discussed it with someone else (the family accountants, perhaps). Another 5 percent claim to have plans to discuss a written financial plan in the future. But, with every one of these questions, there is a large percentage of investors who claim not to need the advice. In the case of the written financial plan, 35 percent indicate they don’t require it. Is that even possible? Or is it possible the investor did not understand the value or the definition of a written financial plan? What percentage of your clients do not have a written financial plan, and how many of those have you actually discussed the idea with, only to have them say “no, thanks”. 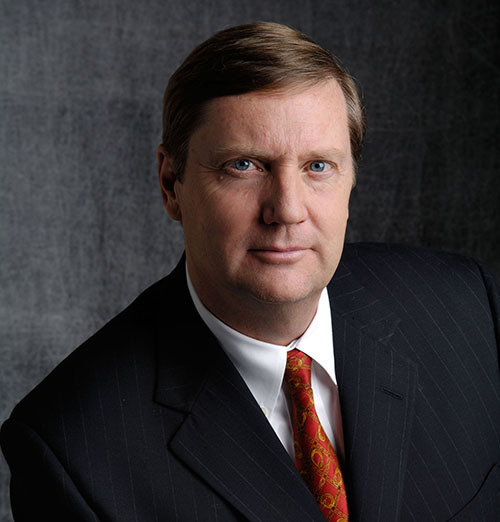 Diversifying assets, implementing tax-advantaged strategies, selecting alternative investments – all of these categories have large percentage of UHNW investors who claim not to need that type of advice. Perhaps they think they don’t need it because they don’t understand it, or they fear that advice will be costly. Can you argue the point? Can you present a reason your wealthiest investors need to discuss diversification or tax implications or alternative investments? If you can present a viable argument in favor and have not done so, what are you waiting for? Permission? The investor may not know they have they have the option of acquiring more information that many investors consider useful. The Spectrem research regarding financial planning and the depth of the investor-advisor relationship should serve as a gentle reminder that investors may not know what they don’t know. They may not understand there is a next level to their advisor’s services.